The CEO of the National Rifle Association delivered a dramatic call to arms - literally - in an opinion piece for the Daily Caller on Wednesday, warning of a dark, uncertain future when guns may be necessary for "survival" and promising that despite President Obama's recent gun control proposals, "We will buy more guns than ever." 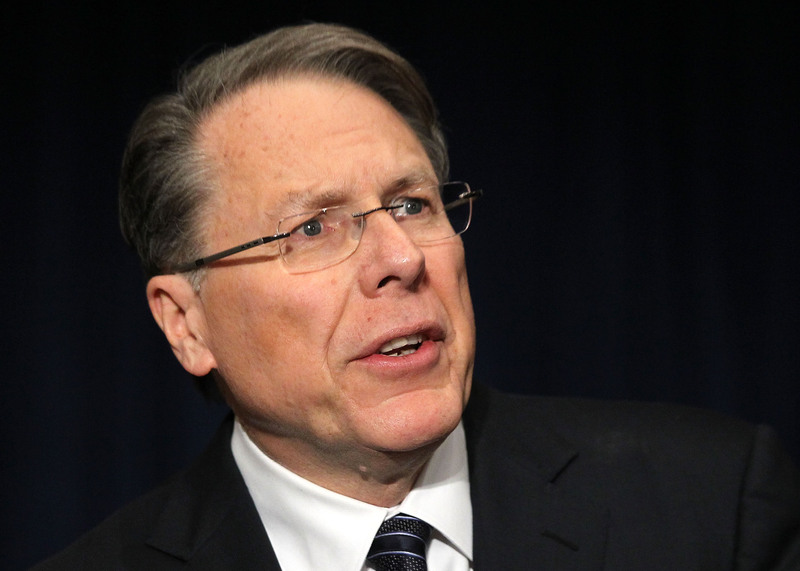 Now more than ever, wrote NRA CEO Wayne LaPierre, gun ownership is important: "Hurricanes. Tornadoes. Riots. Terrorists. Gangs. Lone criminals. These are perils we are sure to face--not just maybe. It's not paranoia to buy a gun. It's survival. It's responsible behavior, and it's time we encourage law-abiding Americans to do just that." "Responsible Americans realize that the world as we know it has changed," he wrote. "After Hurricane Sandy, we saw the hellish world that the gun prohibitionists see as their utopia. Looters ran wild in south Brooklyn. There was no food, water or electricity. And if you wanted to walk several miles to get supplies, you better get back before dark, or you might not get home at all." And eventually, he warned, the government will use chaos as a pretext to take away gun owners' rights: "When the next terrorist attack comes, the Obama administration won't accept responsibility. Instead, it will do what it does every time: blame a scapegoat and count on Obama's 'mainstream' media enablers to go along...A heinous act of mass murder--either by terrorists or by some psychotic who should have been locked up long ago--will be the pretext to unleash a tsunami of Gun Control. "No wonder Americans are buying guns in record numbers right now," LaPierre wrote, "while they still can and before their choice about which firearm is right for their family is taken away forever." The NRA has taken a leading role in the fight against President Obama's gun control proposals, which include a ban on military-style assault weapons and a limit on the size of ammunition magazines. LaPierre himself has emerged as something of a lightning rod for gun control proponents, who reacted savagely to his call for armed guards in schools in the wake of the December massacre at an elementary school in Newtown, Conn.
Later today at the National Wild Turkey Foundation's convention in Nashville, LaPierre will deliver a response President Obama's State of the Union address. Mr. Obama, in his speech Tuesday night, again pressed Congress to act on his agenda to reduce gun violence, "Because in the two months since Newtown, more than a thousand birthdays, graduations, and anniversaries have been stolen from our lives by a bullet from a gun." "The families of Newtown deserve a vote," Mr. Obama said. "The families of Aurora deserve a vote. The families of Oak Creek, and Tucson, and Blacksburg, and the countless other communities ripped open by gun violence -- they deserve a simple vote." Despite LaPierre's ominous warnings in his opinion piece, he reassured readers, "Gun owners are not buying firearms because they anticipate a confrontation with the government. Rather, we anticipate confrontations where the government isn't there--or simply doesn't show up in time." But as the debate over gun laws begins to move from discussion into potential action, the NRA's message could not be clearer: "We will not surrender. We will not appease. We will buy more guns than ever."